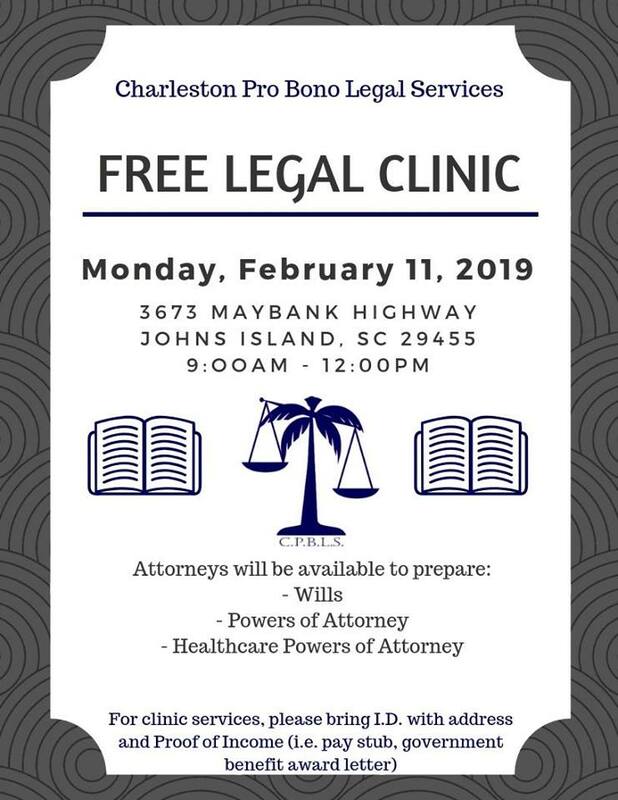 CPBLS and Next Steps Johns Island are hosting a free legal clinic. Attorneys will be available to prepare wills, powers of attorney, and healthcare powers of attorney. For clinic services please bring I.D. with address and proof of income (i.e. pay stub, government benefit award letter).